Happy Valentine’s Day! In keeping with the theme of love and courtship, this week FairyTaleChannel is highlighting the romance of the Swan Knight Lohengrin. There are endless ways to interpret this story, but pictures are often worth a thousand words. 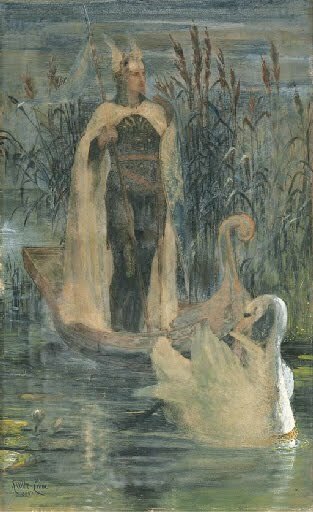 Click on the link below to hear the Prelude to Lohengrin, conducted by Otto Klemperer and view many beautiful Pre-Raphaelite illustrations with the same theme. It sets a wistful but romantic tone for Valentine’s Day, which I hope you enjoy!